A total of 1628 artifacts from several of Bulgaria’s top Thracian treasures assembled from 17 Bulgarian museums of history and archaeology have been taken by plane from Sofia to Paris for the Louvre exhibition which will last between April 15 and July 20, 2015. The treasures to be displayed in the Louvre include the Panagyurishte Gold Treasure, the Rogozen Treasure (gold and silver), the Borovo Silver Treasure, the Letnitsa Treasure (silver and bronze), the Mogilanska Mound Treasure (also known as the Vratsa Gold Treasure), the Zlatinitsa Mound Treasure (gold and silver), and the bronze head of Seuthes III, king of the Odrysian Thracian Kingdom between ca. 331 BC to ca. 300 BC. The treasures of Ancient Thrace have been insured for a total of EUR 165 million for the duration of the exhibition in the Louvre where they will be seen by about 4 million people, according to estimates by French experts. The bronze head of Odrysian King Seuthes III alone has been insured for EUR 13 million while the most precious threasure in the exhibit, the Panaguyrishte Gold Treasure, has been insured for EUR 50 million. 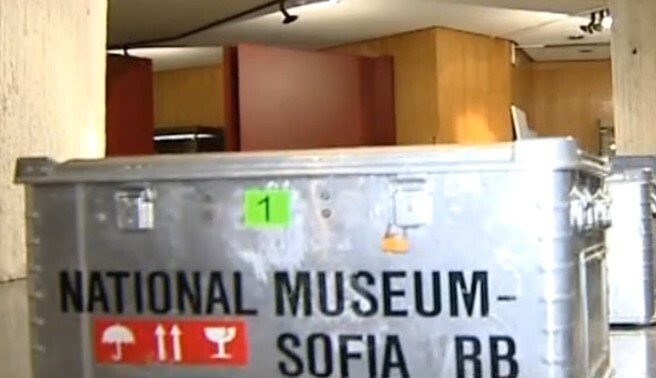 The Thracians’ treasures distributed into a total of 56 fireproof and waterproof containers were loaded at 4 am EET on Monday, March 24, 2015, at Bulgaria’s National Museum of History onto armored trucks of the Bulgarian National Bank, and were taken to Sofia International Airport under highest security measures. “The containers are made of an alloy withstanding a temperature of 1900 degrees Celsius. This is the maximum temperature that can be reached if a plane crashes and explodes so the artifacts will survive in any circumstances! ", states Bozhidar Dimitrov, director of Bulgaria’s National Museum of History, as cited by Nova TV. The containers in question were produced for the Bulgarian National Museum of History in 1979 in West Germany for a total of DEM 190,000. The security convoy transporting the Thracian gold is reported to have changed its route several times as a precaution before reaching Sofia International Airport where the authorities had even prepared a spare chartered plane in case something goes wrong with the first one. The plane that took them to the capital of France made a scheduled refueling stop in Switzerland, the Bulgarian National Television reported. The Ancient Thracian treasures and artifacts to be shown in the Louvre have been selected by four Bulgarian and French curators. The Louvre exhibition of Ancient Thrace will be unique because it will feature for the very first time Bulgaria’s latest gold treasure find – more than 180 gold items discovered in October 2014 by Prof. Diana Gergova at the Sboryanovo Archaeological Complex near the Northeastern Bulgarian town of Sveshtari (which is famous for its Thracian tomb) belonging to the Thracian tribes of Getae (also known as Gets) who were also part of the Odrysian Empire for a certain period of time. The “Ancient Thrace" exhibition in Paris, however, will not be limited to showcasing the impressive treasures but will also seek to present the lifestyle of the Thracians as well as their relations with other neighboring civilizations such as Ancient Greece and Persia; that is why it will also feature a myriad of other artifacts such as bronze coins and pottery. One such item is a hydria, an ancient ceramic vessel used for carrying water or wine, found in the 1920s by Bulgarian archaeologist Bogdan Filov (also known for being the country’s controversial Prime Minister in 1940-1943). The hydria in question has been stored in the soil it was original found in, and is now to be showcased for the first time. 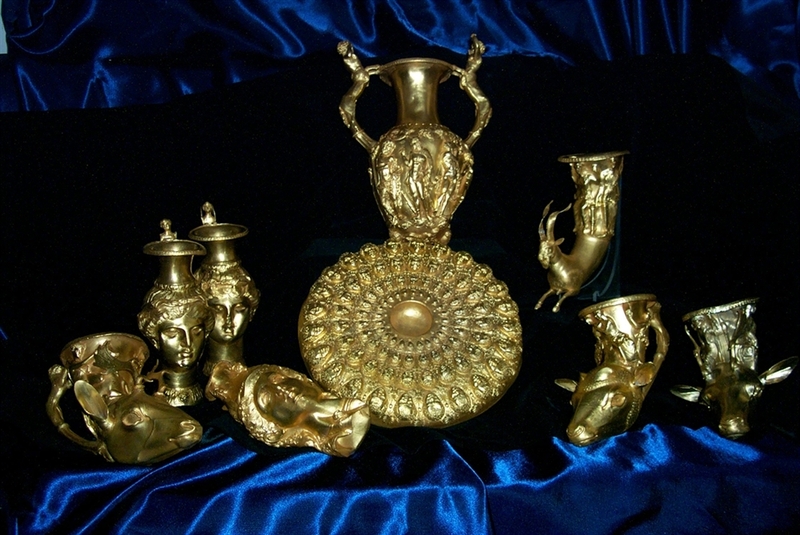 According to one of the curators of the exhibit, Prof. Totko Stoyanov, for the first time an international exhibition of Bulgaria’s Thracian heritage will not focus explicitly on Thracian gold but will show the life and customs of individual Thracian tribes as well as their interaction with other communities, such as the Ancient Greek colonies along Bulgaria’s coast. Thus, the Louvre exhibition will seek to present Thracian tombs in their entirety featuring not only the precious gold finds but also all the other items that give an impression of how the Thracians viewed the afterlife. Some of the urban centers of Ancient Thrace such as Seuthopolis, one of the capitals of the Odrysian Kingdom, will also be presented which has never been done in the past. Seuthopolis was a large commercial center where Ancient Greek tradesmen and craftsmen lived side by side with the Thracians which stimulated the economy of Thrace, Prof. Stoyanov explains. The Louvre exhibition will also present the capital of the Getae, Sboryanovo, with the royal tomb and the nearby Large Mound where the treasure found recently by Prof. Diana Gergova comes from, as well as the Triballi, another Thracian tribe, with the Dabovan Mound where representatives of their aristocracy were buried. The most important treasure from Ancient Thrace that will not be included in the Louvre exhibit is the golden mask of Teres I, the founder of the Odrysian Kingdom (r. 460-445 BC), which was discovered in 2004 by the team of renowned Bulgarian archaeologist Georgi Kitov. According to Prof. Stoyanov, Teres I’s much celebrated golden mask does not fit the Paris exhibit’s concept of presenting the overall lifestyle of the Thracian tribes because it was not discovered in a tomb with other artifacts but came from an isolated grave. The Rogozen Treasure was discovered by chance in 1985 by a tractor driver digging a well in his garden in the Bulgarian village of Rogozen. It consists of 165 receptacles, including 108 phiales, 55 jugs and 3 goblets. The objects are silver with golden gilt on some of them with total weight of more than 20 kg. The treasure is an invaluable source of information for the life of the Thracians due to the variety of motifs in the richly decorated objects. It is dated back to the 5th-4th centuries B.O.T.